Tyler Salaam Collins is a student by day, and a blogger … well, also by day. For a third year communication major at the University of California, Santa Barbara, balancing academics while building up one’s portfolio may be difficult enough, but for Collins, blogging is more than just an extracurricular activity; it’s a movement. 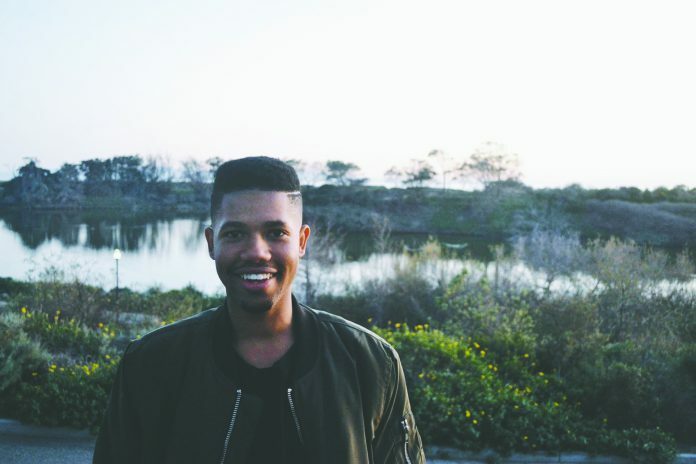 “I would describe myself as being a very ambitious, innovative, creative … intelligent, friendly person,” he said, while sitting at Caje Cafe in Isla Vista — admittedly, for the first time — during an interview. Collins began blogging a few years ago: “I was kind of tired of looking at everyone’s websites and saying, ‘I have a creative idea for that same thing. I could twist [it] up and make it my own.’” He draws inspiration from other bloggers, though his content is fresh and innovative, taking fashion trends and photography styles and making them his own. His website, FashionKilledTheKid, began with the creation of a character: the Kid. The inception of the Kid manifested into a growing minimalistic website that focuses on Collins’s daily fashion looks, timeless pieces juxtaposed with the latest trends in menswear. By creating his website, he has began more than the average college student’s after school hobby. Collins aims to start a movement, in which there is a Kid in each college community, and eventually, worldwide. Through making connections and creating a brand for himself, Collins has found opportunities in high places, showing that starting one’s career so young may not be easy, but it’s worth it. “It’s all about who you know and what you show,” Collins said, when asked what distinguishes himself from other bloggers. “You have to promote yourself.” He advises others to make connections with people who are going to help them push their websites forward, retweeting or reposting across social media platforms along the way. For others interested in blogging or becoming involved in their own creative outlets in general, Collins offers some advice. “Focus on it,” he said. “Dedicate time to it, because if you really love it, it shouldn’t feel like a job … Find other creative people who will help inspire your creativity.” According to Collins, finding people who have your same interests as you will propel your own inspirations, allowing you to expand your creative projects and propel yourself forward, both as a brand and as a creative individual. From social awareness to finding one’s passions, Collins proves that creativity and activism aren’t as different as one may think. Rather, they may be one and the same. Find Collins on Twitter and Instagram at @FKTKonline and @fashionkilledthekid, and visit his website to see more of his creative journey. Who knows? You may be inspired to start a movement of your own.